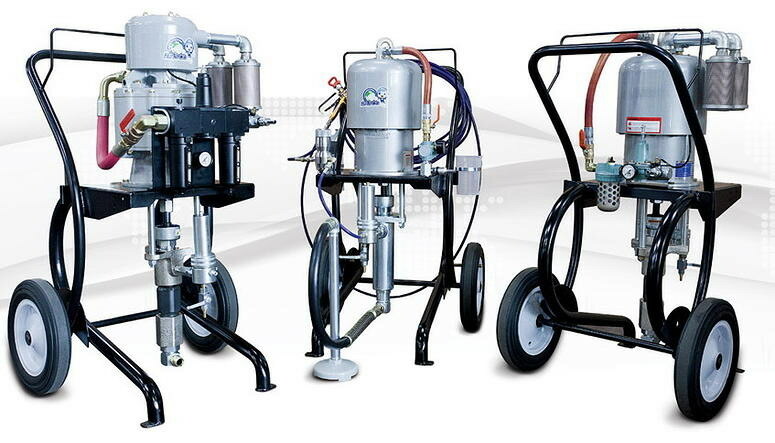 Airless sprayer works by pumping paint at a very high pressure, up to 3,000 psi, through a hose and out a tiny hole in the spray gun tip. 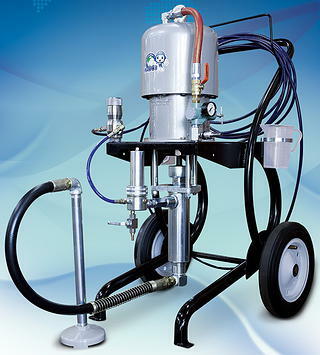 HASCO Airless Sprayer comes with a pump, hose, tip and gun. 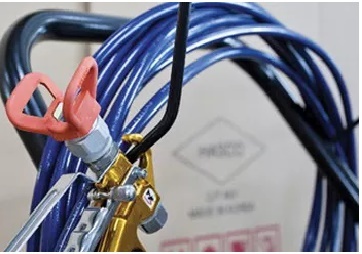 The narrow end of the hose is connected to the nozzle and the wider end will go into the paint. The gun allows the painter to control the flow of the paint. If you press the trigger, the valve of the sprayer opens and allows the paint to flow through the tip. There are various sizes of sprayer tips available in the market. The size of the tips determines the amount of paint flow through the nozzle. Airless paint machine's accessories:​​ - Gun Swivel / House Swivel. - ﻿Surge Filter. - ﻿Paint Hose (1/4", 3/8" x 15 m.) and (1/4", 3/8" x 10 m.) ﻿- High Pressure Valve. ﻿- PRO - 3000 GUN. ﻿- PRO - SILVER PLUS GUN. ﻿- PRO - GOLD GUN (500 bar).